The Mall of America, also known as the MOA, is the second largest mall in the United States; it is located in Bloomington Minnesota, and has more than 400 stores. Sometimes, getting through a one story mall in one afternoon is a big job. Unless you have a plan of action you can spend hours walking around the different stores. Since going through a regular mall can take a considerable amount of time, going through the MOA which is a four story mall can seem like a daunting task. Having some planning and navigation tips can make the trip much less scary and much more exciting. You want to have the best experience during your MOA trip and you don’t want to worry about planning and stressing over which way to go and which stores to visit. 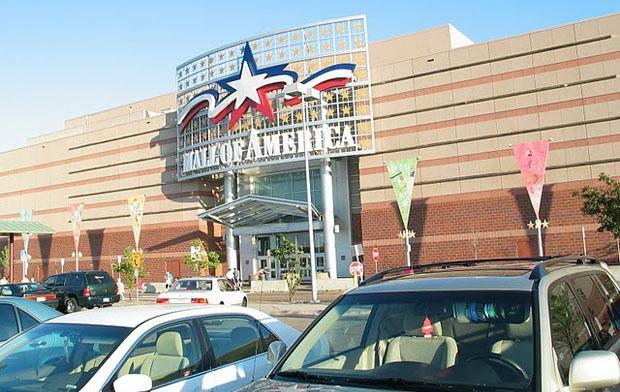 These 5 tips can be like your personal visitors guide to the Mall of America. These tips will help you have a more enjoyable time and keep the stress at a low level. Tip 1: Plan ahead and plan according to company. The people you bring to the MOA will greatly determine the places you visit, the food you eat, and the amount of time spent at different spots. There are many places in the MOA that both children and adults can enjoy. There is a mini aquarium in the basement, movie theaters on the fourth floor, and the Nickelodeon Universe theme park in the center of the mall. There are also celebrity appearances and performances in the mall so be sure to plan accordingly. Tip 2: Wear good shoes. The MOA is a four story building with lots of fun things to see and do. Be prepared and wear some good walking shoes. Tip 3: Set aside time. A six time veteran of the MOA said it is a good idea to set aside more than a day, sometimes even a few days to get the full experience of the giant MOA. Tip 4: Don’t stop at every store on every level. The corners of the mall have the same four stores on each level: Macy’s, Nordstrom’s, Bloomingdale’s, and Sears. Obviously for the sake of time these stores do not have to be visited on every level. Tip 5: Ride the shuttle. If you are making a trip to the MOA more than once and are staying in a hotel nearby use the shuttle. Using the shuttle saves the time and energy you would spend driving and trying to find a parking spot. The shuttle will pick you up at your hotel and will drop you off at the MOA front door. Madison Hewerdine is an author who likes to write travel guides and has a passion for painting.